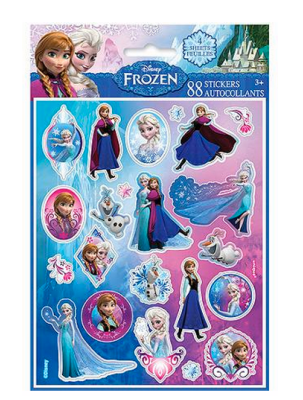 Disney Frozen Sticker 4-count Sheets (88 stickers) Only $0.99 + FREE Store Shipping! You are here: Home / Great Deals / Disney Frozen Sticker 4-count Sheets (88 stickers) Only $0.99 + FREE Store Shipping! Your little Frozen princess will LOVE these! And they’d make awesome stocking stuffers! Right now, snag these Disney Frozen Sticker 4-count Sheets (88 stickers) for only $0.99! !